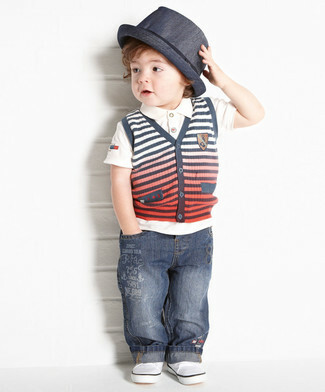 Reach for a grey knit waistcoat and navy jeans for your munchkin to create a neat, stylish look. Supra boys vaider sneaker are a nice choice to complement this look. A white t-shirt and light blue jeans are a go-to outfit for lazy days when you and your little man don't want to do anything special. This getup is complemented really well with Supra boys vaider sneaker. Reach for a black sweater and blue trousers for your child for an easy to wear, everyday look. 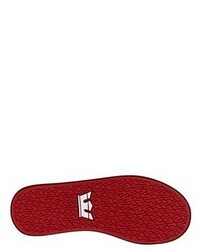 This style is complemented well with Supra boys vaider sneaker from Nordstrom. 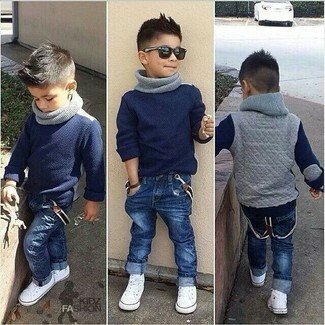 Suggest that your child team a navy sweater with navy jeans for a laid-back yet fashion-forward outfit. 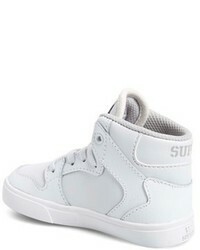 As for footwear your kid will love Supra boys vaider sneaker from Nordstrom for this ensemble. 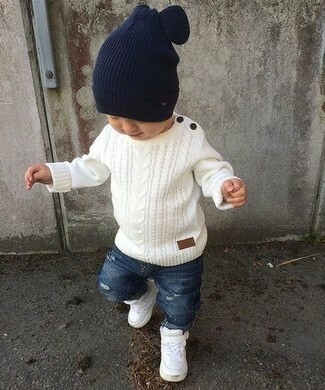 Suggest that your munchkin reach for a white sweater and blue ripped jeans for a laid-back yet fashion-forward outfit. This style is complemented nicely with white sneakers. Suggest that your munchkin opt for a white and navy horizontal striped t-shirt and navy denim trousers for a trendy and easy going look. This getup is complemented perfectly with white sneakers. 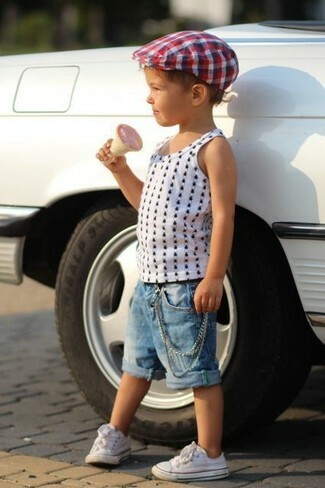 Suggest that your little one pair a white polka dot tank top with blue denim shorts for a fun day in the park. The footwear choice here is pretty easy: complete this ensemble with Supra boys vaider sneaker from Nordstrom. 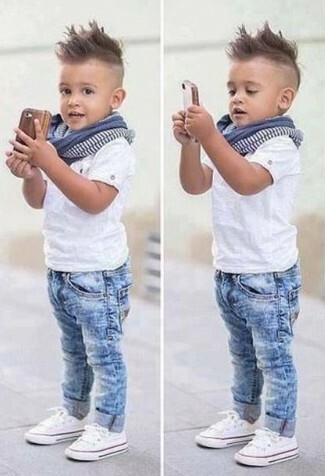 Suggest that your kid choose a grey gilet and navy jeans for a fun day in the park. This getup is complemented really well with white sneakers. 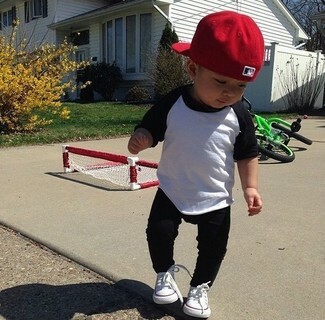 You'll have no problem tempting your tot into wearing this combo of a white and black long sleeve t-shirt and black sweatpants. 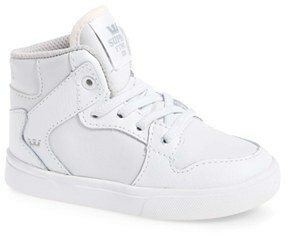 Supra boys vaider sneaker are a smart choice to complete this style.